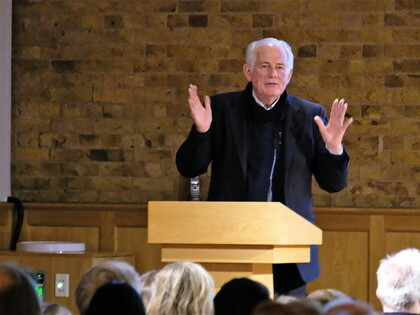 Prior to his rescheduled talk for the Festival of Literature, Dan Cruickshank visited the Prep School Library to judge the competition entries for this year’s House Library Challenge. Houses had been asked to put forward entries of a model replica of one of the 100 most iconic buildings, as featured in Dan’s book, A History of Architecture in 100 Buildings. Dan was impressed by the high standard of all of the models, claiming them all to be “jolly good". However, pressed to make a selection, Dan placed Monk Jones in 1st Place, saying that their models were “collectively, and individually, exceptionally good”. 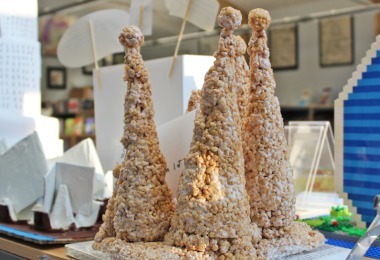 He particularly liked Guy V’s model of the Sagrado Familia and how Guy had even managed to convey the organic nature of the building by constructing it from Rice Krispies. 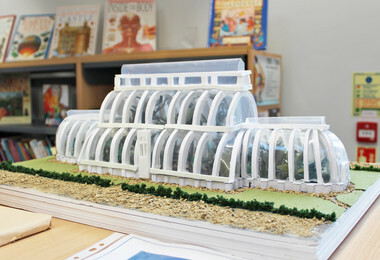 In 2nd place was Newbury, and the entry which Dan commented on as being “simply outstanding with its exquisite detail” was Martha B’s model of the Palm House at Kew Gardens. 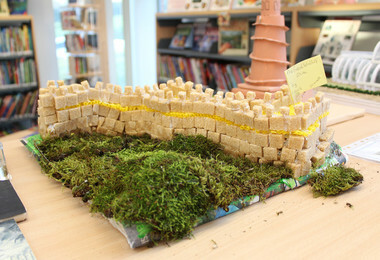 Grimwade House were placed a close third, and Dan commented on Verity B’s enthusiasm in producing two models. 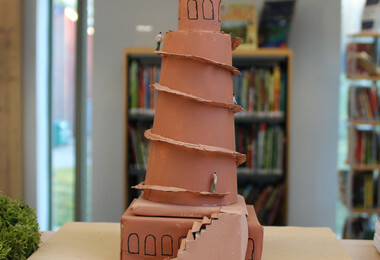 Again, he liked the simplicity and organic nature of the Great Wall of China being constructed from sugar cubes and straws, and was particularly admiring of Madeleine P’s twisting Malwiya Minaret; one of his personal favourite sites to visit. 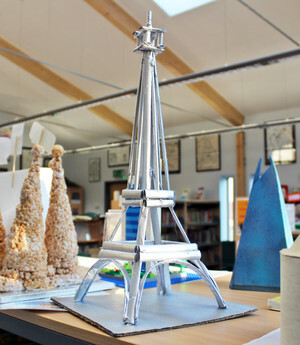 Westfield only had two entries, which possibly is a reason why they were placed in 4th position, but Dan did say that Anna S’ model of the Eiffel tower was “charming”. Well done to all who entered an exhibit! Don't forget that the poetry, drama and geography aspects of the Library Challenge are still ongoing.